Could area codes soon be a thing of the past? 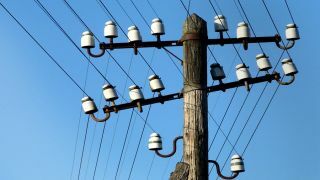 Ofcom is considering how it allocates phone numbers in the future after a study found the number of calls made on a landline has fallen dramatically over the past few years. The regulator said that it is evident that younger people prefer to communicate using instant messaging applications and social media, whereas older people value conversation. It says that as more and more communication becomes web-based and even voice calls are carried over the Internet, it may be time to retire geographical phone codes. These codes came into effect in the 1950s are were originally formed composed of ‘01’ followed by two digits determined by the location and another digit. For example, Aberdeen is ‘01224’ because ‘AB’ is ‘22’ on an alphanumeric keypad. However the growth in the number of users has seen a number of changes to this system – most notably the use of 02 numbers in major cities like London – and future changes could be on the horizon. Ofcom says that since the majority of phone users in the UK don’t manually enter numbers on their device, it’s possible the geographical area code has lost its significance. Younger users like the idea of a number for life but older people are strongly against the eradication of local codes because it gives them reassurance about local businesses. “Some of us can remember a time when we stored phone numbers in our head, rather than our mobile. But the way we use and feel about telephone numbers is changing,” said Liz Greenberg, Head of Numbering at Ofcom. There are currently 610 local area codes and 1.3 billion landline numbers in the UK, of which 400 million have been allocated to telcos. While local area codes are likely to remain for the foreseeable future, Ofcom is exploring how Blockchain could be used to allocate phone numbers more efficiently in the future.